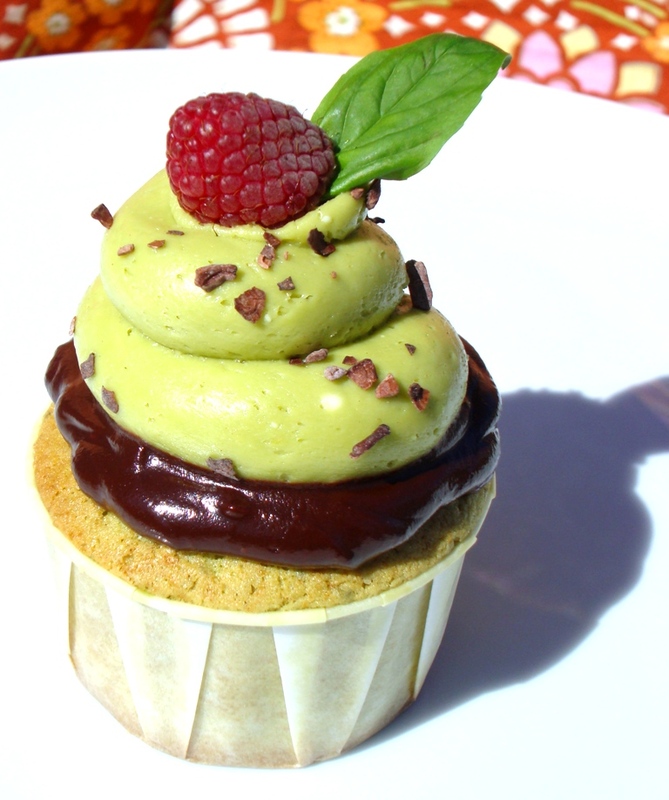 Vote for Iron Cupcake: Earth - Basil now! 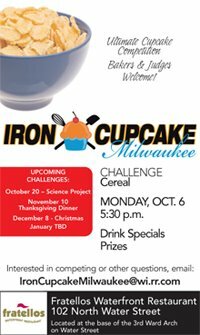 You have until noon on Thursday, October 2nd to vote for the winner of Iron Cupcake: Earth - Basil, meaning all the entries had to use basil in some way. If you don't know what Iron Cupcake is, visit http://ironcupcake.blogspot.com. Also check out the Iron Cupcake Flickr Pool where these randomly selected (we promise) cupcakes are from - click through on their blogs to read more about each cupcake entry. I absolutely love basil and I use it as often as possible! However, when I saw it standing tall in your beautiful cupcake, my stomach turned. Cupcakes are supposed to be sweet and delicious. They are meant to be swirled around in your mouth like a good wine. There should be a law against this recipe! I vote NO. Mama Cissy, I felt the same way....at first. I LOVE basil..LOVE basil! And the thought of using it in a cupcake made me think twice about competing this month. I'm glad I did, because I was opened to a new experience that I otherwise wouldn't have. 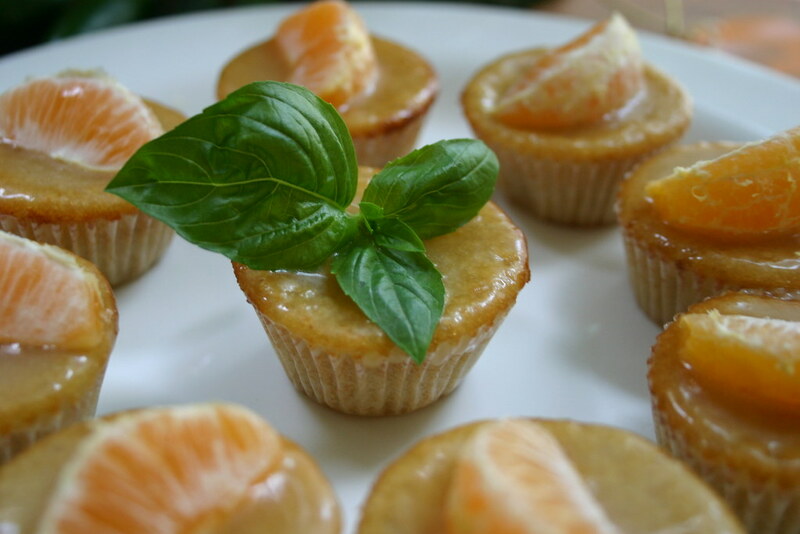 I think (in my cuppie anyway) the sweetness of the orange & nectar helped the savory basil-ness. 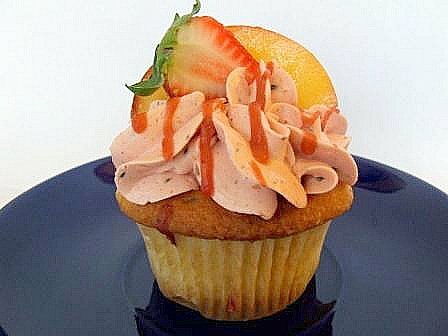 I do agree that cupcakes should be sweet and delicious, but that doesn't mean that savory can't complement the sweet! And thanks ladies of CTTC for thinking my cupcake is pretty enough for a shout-out! All your pics are extremely inspiring and I want to go home right now and bake! I agree that cupcakes should be sweet. My entry was very sweet by using homemade Strawberry Basil Lemonade syrup. My husband is a strictly yellow cake chocolate frosting cupcaker, but he loved these. Recipe in my blog.